« Are our kids over-sexualized? University professor Tweets that white men need to be killed and parts fed to swine. Then tries to say it was an experiment. NOPE! 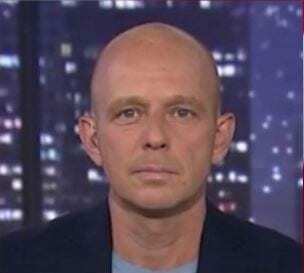 AND… special guest, FoxNews host of The Next Revolution, Steve Hilton calls in to talk about his new book “Positive Populism”. What is more of a human right than the idea of “innocent until proven guilty?” The damage that Democrats are causing will be with us for many years. Taking power out of the hands of those at the top, big government and big business. It needs to be put back in the hands of the people. Donald Trump is the tip of the spear, but we need people working behind him to keep the momentum going. When you come to a country, you come because you want to become part of that society. You can complain about it, but what are you actually going to DO about? The current system incentivizes families to break up.